Take a walk in the boots of a true westerner. Raised on the prairies of South Dakota, Mick B. Harrison draws inspiration from his experiences as well as those of others. 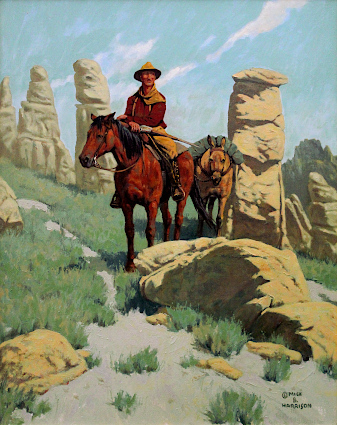 Using direct paint strokes and a striking palette, he captures the ruggedness of the plains, the beauty of the Black Hills and the powerful spirit of the western life.